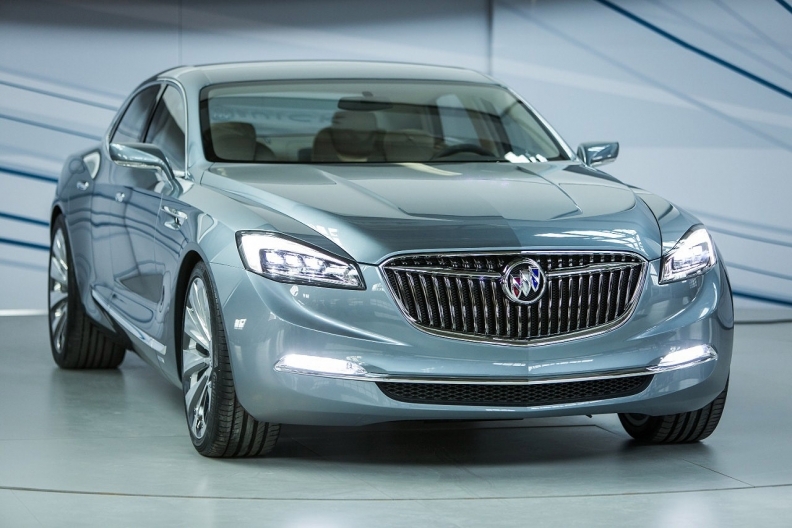 Buick Avenir is the creation of a global team of Buick designers and sculptors who were inspired by historic Buick concepts, which shaped future Buick models and influenced the entire auto industry. And with that, two design teams spanning the 10,000 miles between Australia and the U.S. were off. Australian designer Warrack Leach and his vision for the Avenir's exterior. 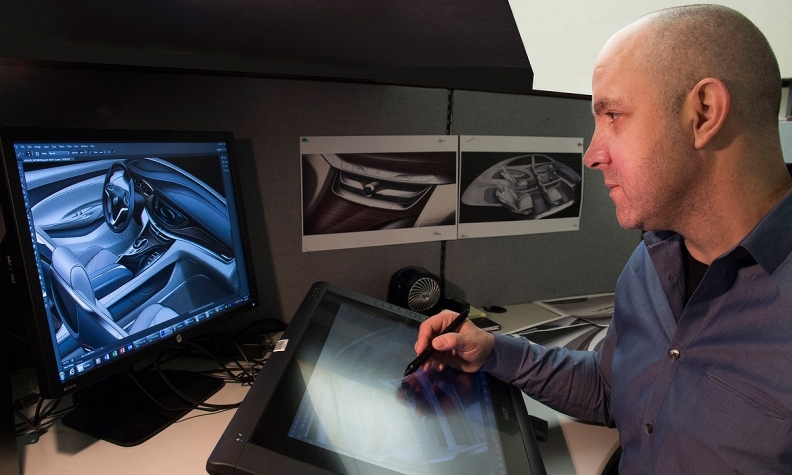 For General Motors, concept design starts with a “sketch blitz.” That’s where interior and exterior designers from all corners of GM’s empire create their visions of what the concept could be. Leach joined GM Holden in 1999 working as lead creative designer with an emphasis on exteriors. Concept sketches are always simplified versions of the real thing but include all the important content. With the Avenir, he wanted to create a sporting flagship with a clean fuselage and a post-modern twist. Leach always loved long shooting brakes and always wanted to pen a boat-tail rear end. Hence the Avenir’s long roof, nearly extending to the tapered rear end. Blake Allen's theme sketch for the Avenir interior. Interior sketching happens simultaneously with the exterior design. The two teams meet (virtually) once or twice a week. Inspiration came from architecture, furniture, ocean waves, aircraft and other objects. Thankfully, for a concept like this, teams don’t have to take the same precautions to include all production-style features. In front, the Avenir gets a central touchscreen and a configurable dash screen in the instrument panel. Other highlights include the floating center console with pass-through and the 3-D pattern on the dash. Rear passengers get giant rear-seat screens; the floating console continues as an armrest and storage space. 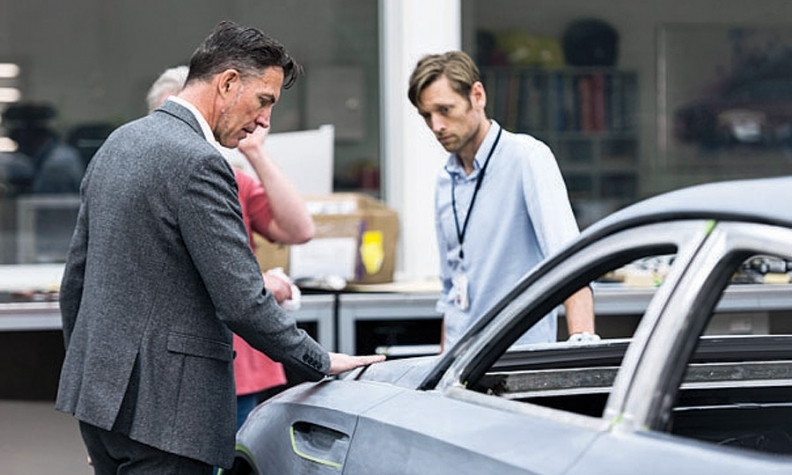 Michael Simcoe, left, vice president of design for GM International, with Leach as the Avenir is sculpted. Sculpting a sketched form from clay is no small task, though the design team does use a scale model first to get the look right. Patterson has worked with Leach before and knows what he’s getting when a project comes in. “When I saw it I thought, ‘another great sketch from Warrack,’” said Patterson. The team of five sculptors spent about four weeks on the scale model and four weeks on the real thing, though changes continue until the last conceivable moment, in every step. When the sculptors are done with the scale model, they scan it in three dimensions, and a computerized mill cuts a full-size version. Then they go back to tinkering with the design. Patterson says the key is to keep the essence of the sketch. Luckily, Patterson and Leach have a good relationship. Both know what the other likes and can sense the direction the concept should go. Welburn dropped in during the sculpting process and predictably liked what he saw. 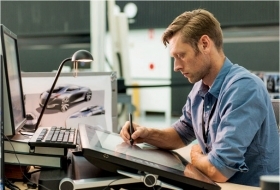 “Nothing is easy with a concept car,” said Paul Clarke, creative hard modeling manager for GM Australia. The Avenir needed to be sturdier than most concepts because a.) it actually drives and b.) people would get in and out of it for two weeks during the Detroit auto show. That meant a roll cage to hold up the body, a minimalist engine to putter it through the show floor, and cool, pop-out billet door handles that really worked. Those intricate handles needed to be designed, engineered, powered and programmed, not to mention polished. 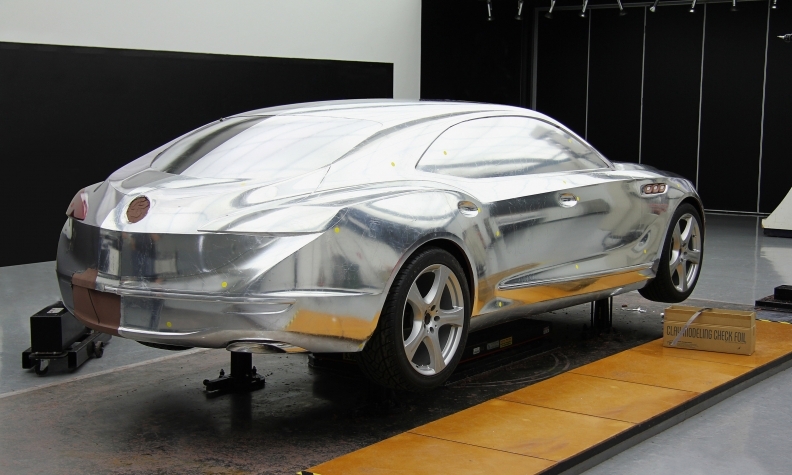 The Avenir concept features a ton of billet aluminum, all polished to some degree. That necessitated everybody, from sketchers to management, take a turn with a rag and some compound. Similarly, the 13-piece wheels needed to be constructed, painted, polished and anodized perfectly to show off their glossy coat. The North American team picked the car’s color -- crystalline -- but it was refined, reformulated and applied in Australia. Considering the hue and metal flake finish, getting the right thickness and the right look took time. 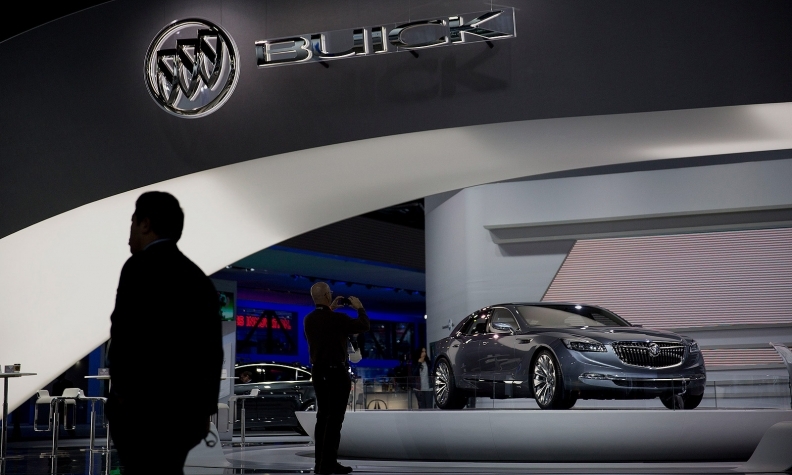 The Avenir was the centerpiece of Buick’s Detroit show display, by design. 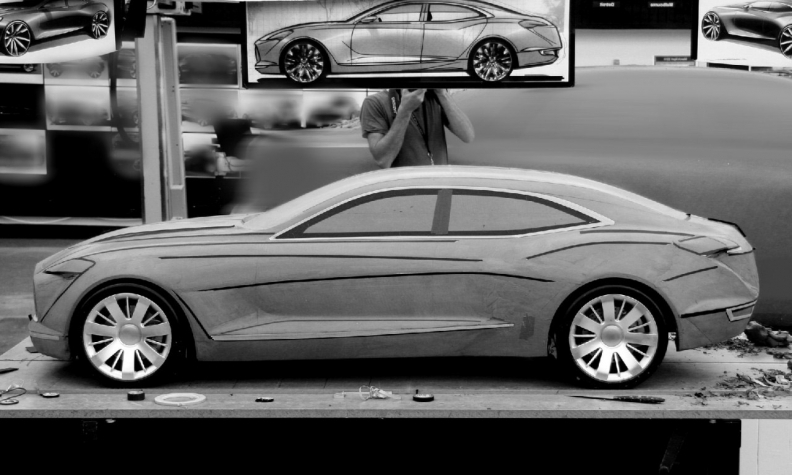 With a full year invested in working on it, there was no way Buick would stuff its concept flagship back in a far-off corner. By the way, if that color seems familiar to some of Autoweek's older readers, we thought the same thing. It looks like a play on the color of the famous Harley Earl-designed Buick Wildcat II. The brief for that concept, we’re guessing, entailed a little more than nine words.